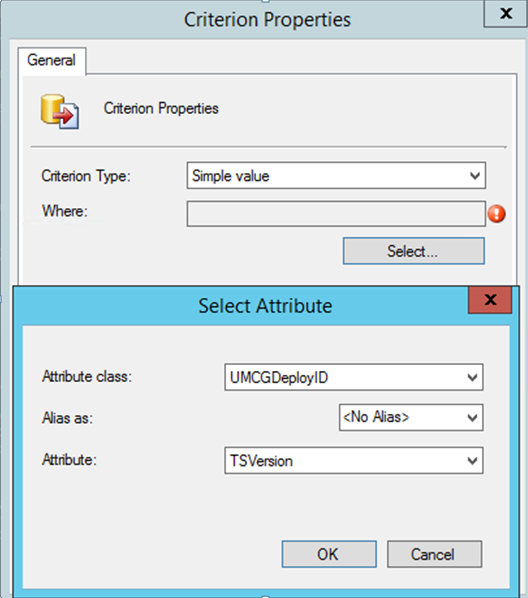 When you like to use a registry keys query in a ConfigMgr collection, you first have to Extend SCCM client Hardware Inventory with a Custom Attribute value. You can do this with this description of Jyri Lehtonen. 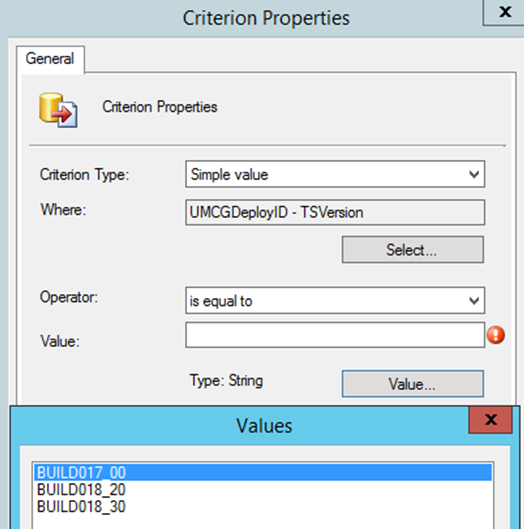 This entry was posted in Configuraton Manager, Microsoft, System Center, Windows and tagged 2012 R2, configmgr, hardware, hklm, inventory, sccm on December 1, 2014 by Kamm_and_Re. This guide describes how to use System Center Configuration Manager 2012 R2 to import the Windows XP CSA updates. Download the ‘new’ Microsoft CSA Update Payload Packages to: C:\CSA\Payload And the CAB file to: C:\CSA\ScanCab. Use a Microsoft Account to get access to the Microsoft connect site. Check if the updates are presented in the database. Start WSUS admin tool and check if the Custom Support updates are added. Start the SCCM console and goto Administration | Site Configuration | Sites en selecteer de Site kies voor Configure site components | Software Update Point. Go to the tab Sync Schedule and choose a date and time which will take place in a couple of minutes. 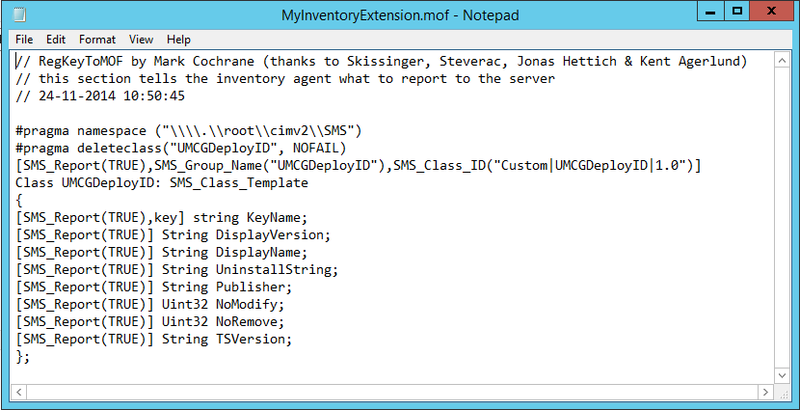 Open the wsyncmgr.log to see if the sync is started and when it will be finished. 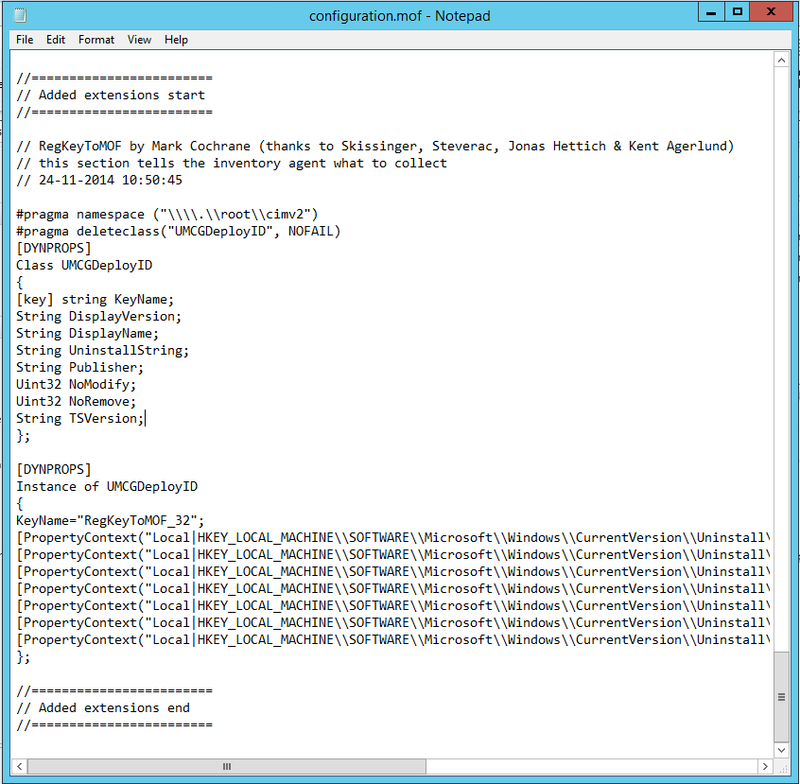 This entry was posted in Configuraton Manager, System Center, Windows Server 2012 and tagged 2012 R2, CSA, Microsoft, sccm, System Center Configuration Manager, Windows updates on May 28, 2014 by Kamm_and_Re.